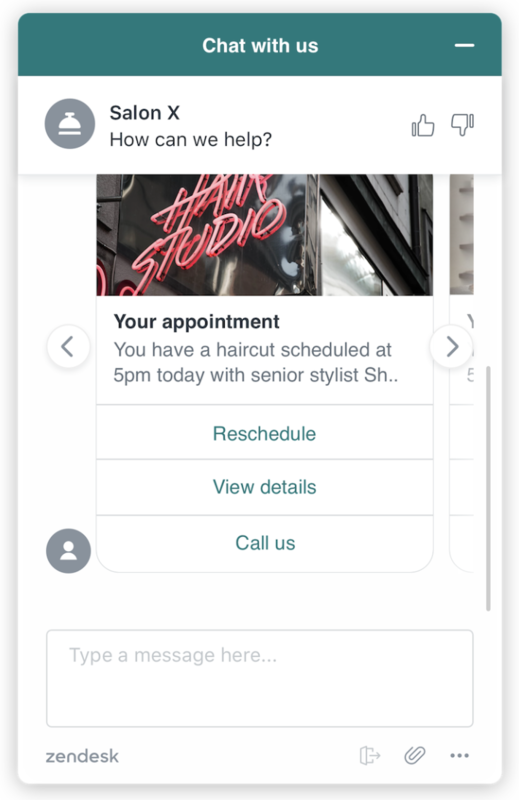 The structured messaging feature in Zendesk Chat allows you to provide elements that enhance and simplify a customer's chat experience. These elements include quick reply buttons, GIFs, and persistent panel templates, among others. 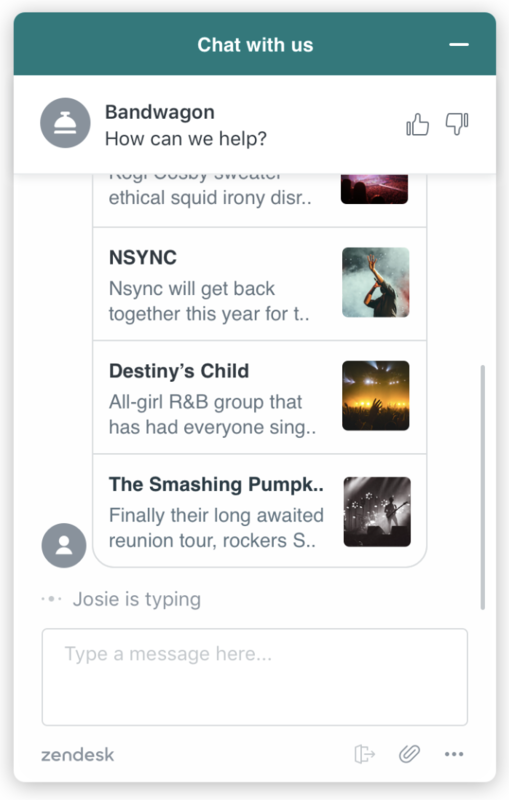 Currently, accounts use the Chat Conversations API to add structured messages to their chats. You are participating in the Web Widget integrated Chat Experience limited availability program. You are using the Chat SDK version 1.6.0 or above. See Structured Message Payload for details. 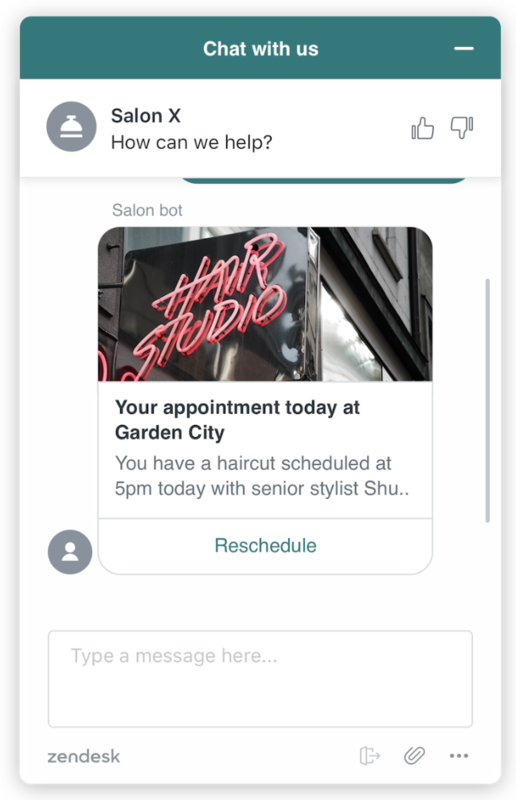 You have access to the Zendesk Chat Conversations API. 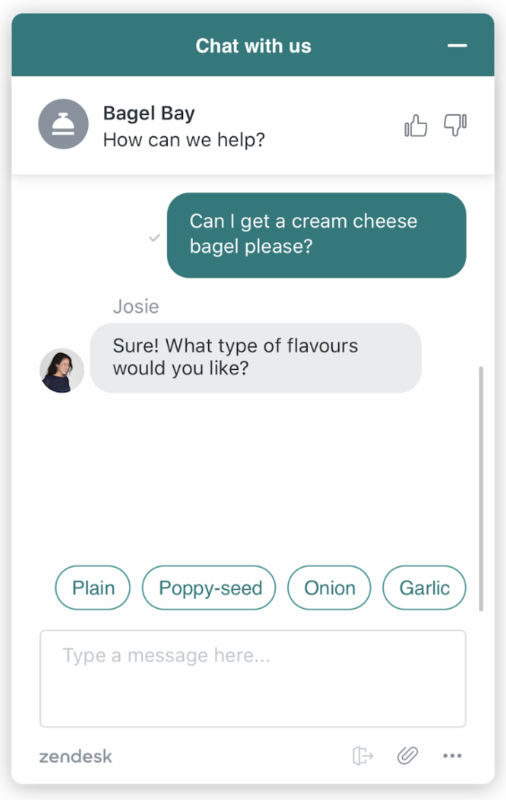 Quick replies allow an agent to send a message with a number of option buttons for an end-user to choose from. When the end-user clicks a button, it sends a pre-defined reply to the agent. A panel template allows an agent to send a message with a panel and a list of buttons. A panel template carousel allows an agent to send an array of panel templates as a carousel. A list template allows an agent to send an array of items with an optional button. To use structured messages in chats, you must use the Chat Conversations API. To familiarize yourself with this, see Getting Started with the Chat Conversations API. Note: These mutations support a fallback parameter, which is used in situations where structured messaging is not supported (see Requirements and restrictions, above). Refer to the Conversations API schema documentation for the full API details.